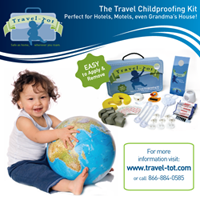 Travel-Tot: Sites We Love: Parent Faves! It can be a real challenge to find brilliant childcare products, and big-box stores can often be overwhelming. Having particular criteria can add to the challenge. Are eco-friendly or organic products on your 'must-have' list? Trying to support companies dedicated to domestic-manufacturing? Dedicated to purchasing exclusively educational products? We have your perfect one-stop shop: Parent Faves! Parent Faves is a small family owned business; one small enough to care about the products they sell, the children who use them, the environment, and about their customers. They carry a vast array of new, innovative products, including: eco-friendly and organic products, products manufactured in the USA, and educational products. Parent Faves is proud to feature many products invented by moms, dads, and grandparents to solve a problem, simplify life, or just make a child laugh! So how do products earn the "Parent Faves" designation? The family's personal experience as parents, as well as that of friends and family, lots of research, and customer feedback help determine which products make the cut. They are dedicated to selling only products that they would buy for their own families. Best of all, Parent Faves is an authorized retailer for all of their products, which means they have new stock, the latest styles, and full backing by the manufacturer for warranty and product support. So next time you're looking for that perfect baby or toddler item, save yourself time and frustration and check out Parent Faves - you'll be glad you did!